Choosing a computer chair is very important considering that you will be using it for hours every day. When your office chair is well-designed, it can improve your productivity and lowers the chance of any discomfort. On the other hand, if you have a bad chair for computer use, it can increase the chances of fatigue and discomfort. 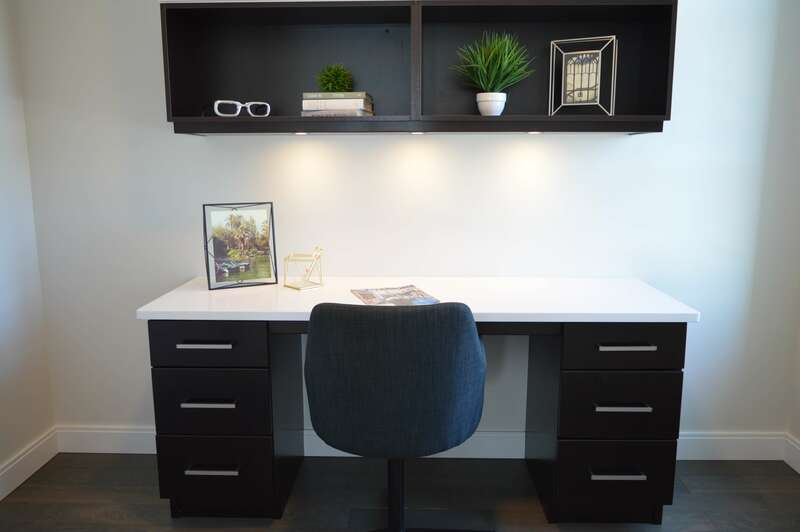 So, when it comes to designing your work station, whether at home or at the office, you need to make sure that you have a great chair. Choosing the right computer chairs can greatly affect your overall mood whether you are working or not. So today brought you a definitive guide that helps you to buy the perfect office chair for the computer use, that lets you maintain your body posture and never let you feel the back pain or any kind of pain. 1.2 2. Consider the width and depth of the chair. 1.4 4. Choose a chair that has lower back support. 2 Why You Need a Good Chair? It all depends on your preferences, but make sure that you consider the seat height if your computer chair. Moreover, it should be easily adjustable so you can easily adjust whenever you want to. Find a chair that has an adjustment lever that can easily adjust it however you want to. This will allow you to your feet flat on the floor and have your arms and thighs even with the desk’s height as well. Recommended: How To Build A Motorized Monitor Lift For Your Desk On a Budget! 2. Consider the width and depth of the chair. You will immediately know if you are comfortable with the chair when you initially sit down upon the first check. So you need to make sure that it will remain that way if you are already sitting on it on a significant amount of time. So on the first try, make sure to check the width and depth of the chair. Does it provide enough support and comfort? It should also have the option to be tilt forward and backwards so you can adjust it anytime you want to. The material of your chair should have enough padding so you feel comfortable once you seat on it. Cloth fabric is one of the most preferable ones compared to materials with a harder surface. But it still ends up with your preference. If you prefer leather, you may also choose it, but make sure to choose one that is durable. The important thing is that you choose enough padding that will make you comfortable in a long period of time. The fabric that you choose definitely matters when it comes to the overall durability of your chair. 4. Choose a chair that has lower back support. If you are working in front of a computer in long periods of time, lower back pain is inevitable. So you need to make sure that you choose a chair that has the best lower back support. Choose a chair that will prevent you from slouching and strains your lower spine. Find a chair that has a good lumbar adjustment both with the height and depth so you can properly fit it with the inward curve of your lower back. This is a very important step that you shouldn’t skip when you are choosing a chair for computer use. Nowadays the Office chair that we use to see have some adjustments, like height and arm adjustment. However these are not only important adjustment that an ideal computer chair should have while shopping for an Office chair, but a good chair should have up to 10 or more than it different adjustments. You cannot sit continuously on the chair with the same position, you always keep changing your body posture on the chair so if the chair doesn’t have the much adjustment for everybody parts then it may harm your body posture. 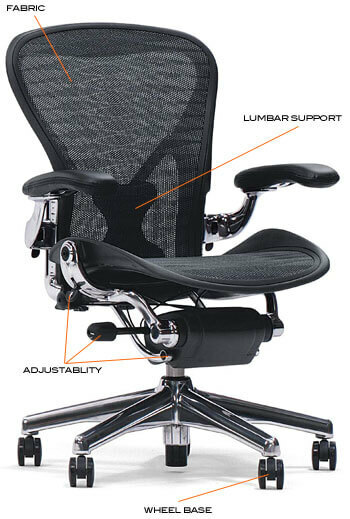 So there are some important features that should be adjustable in Computer chair such as the lumbar support, height, seat back height and width, tension control and back angle and also arm width. Some chairs have dial controlled adjustment sand some have a hand-held bulb pump, but it doesn’t matter, you just need to make sure that the chair you’re going to buy should have these adjustment features. Almost all office chair s have a wheelbase and it should be because it helps you to pick the item or reach the next desk quickly without any strain and not just do this, you’ll see the little increment in productivity of your work. If the office or workplace or carpeted then it may be necessary to get a chair with wheelbase specifically made for the carpeted floor. Why You Need a Good Chair? Having a Good chair and working sitting on it will increase your work productivity that a normal or ordinary chair never do! There are many benefits of a good computer chair which reduce the back pain and also must have the neck support for giving your neck relax while you take a break for a minute or two. A Comfortable chair not only for the employee or worker but it also helps the Gamer who spend lots of hours gaming and the students also. It also reduces the number of breaks that an employee needs to take while working after every some minute due to being uncomfortable by sitting continuously on the chair. Hope you liked this guide and you will get the perfect chair for the computer use if you want me to add some more points that should be considered before getting a new chair then let me know in comments I’ll add those points too. Do share this post with your friends and let them know if ther are plannig have a good chair.